For my pic of the week this week I’ve chosen somewhere fairly close to home – in Wells in Somerset. This is the arch under Vicars’ Hall, which is at one end of Vicars’ Close, one of Wells’ most famous landmarks. 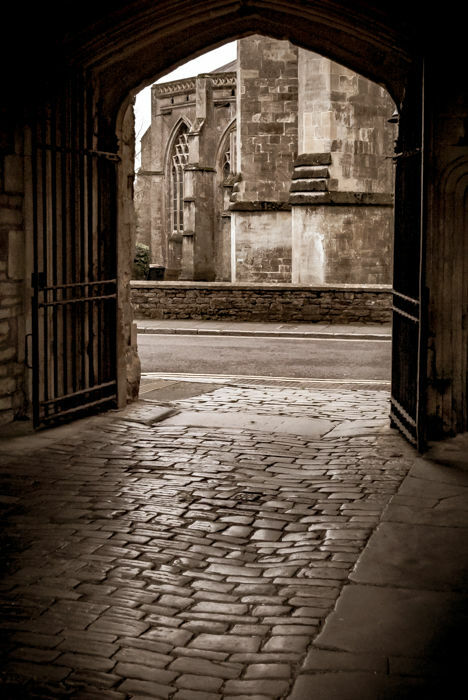 You are more likely to see photos of Vicars’ Close itself, as that is a famous place due to its being one of the oldest intact streets in the UK - construction started in 1348. It is also very photogenic, comprising terraces of stone houses with gardens in front and tall chimneys making a rhythmic pattern that helps accentuate perspective. But, rather than take the typical shot, I've spun through 180 degrees and gone for this, because I enjoyed the way the arch framed the shot and the light glinting on the cobbles, polished by centuries of footfall. I have numerous shots of interesting bits of Somerset, available as wall art or for other purposes. I am also, of course, available to commission for architectural photography and other types of professional photography.